Daniel Kraft designed the Marrow Miner — a new device that quickly harvests life-saving bone marrow with minimal pain to the donor. The adult stem cells found in bone marrow can be used to treat many terminal conditions, from Parkinson’s to heart disease or leukemia. Daniel is a pediatric cancer doctor and stem-cell researcher at Stanford University where his clinical focus has been bone marrow transplantation. After realizing that the bone marrow harvesting procedure hasn’t changed in about 40 years, Daniel designed a new more efficient and pain free approach, which also gets about 10 times the stem cell activity in the marrow gathered. 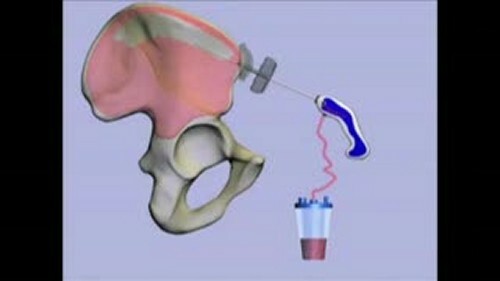 This device was just FDA approved in the last year. This technology can encourage more people to sign up to be potential live-saving bone marrow donors. It can also enable individuals to easier “bank” their own marrow stem cells, when they are younger and healthier, to be used in the future should they need it.